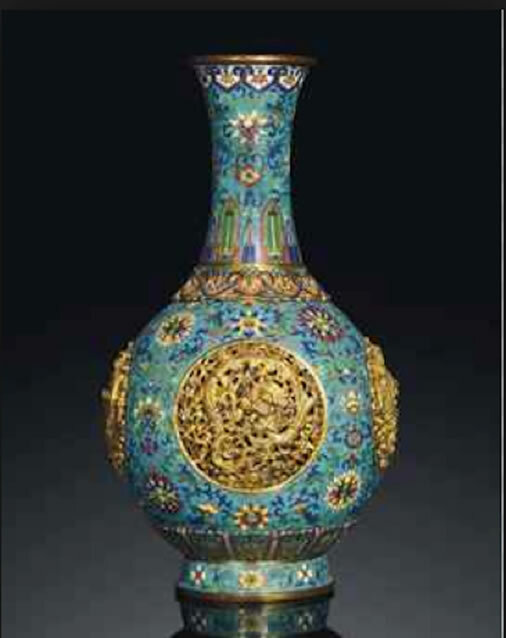 Cloisonné is an ancient art that is recognized as being very valuable. Cloisonné lapel pins are among the most cherished of all award jewelry. Most choose cloisonné for the beauty, but in some pins there is a practical reason, too. When you desire to have very distinct and separated colors, Cloisonné is an excellent solution. The Medal of Honor, the Victoria Cross and famous award jewelry all utilize cloisonnés and enamelto enhance their beauty. Cloisonné is a French wordmeaning "closure" or"separated". Each color usedin an enamel design requiresa metal closure to separatethe enamels. If your designdemands this, then chooseeither kiln-fired or softenamel. In kiln-fired enamel, finelyground enamel is applied tothe appropriate areas, fired at1500 degrees, then stoneddown to the cloisonné. Thisprocess is repeated anaverage of four times percolor to produce a rich, jewel-like surface. Soft enamel is a premium quality paint that molds itself to the jewelry's contours. Most choose Cloisonné for the beauty, but in some pins there is a practical reason, too. When you desire to have very distinct and separated colors, Cloisonné is an excellent solution. It is possible to purchase lapel pins with cloisonné at substantially lowerprices, but the quality difference is obvious even to the untrained eye. If the goal is to honor someone for their service or to challenge them to greater effort, you will want to award them with a fine quality pin made in the US. Presentation of fine jewelry make a huge difference in the perceived value of the gift. We can provide jewelry boxes, velvet bags, custom cards, or plastic presentation cases.